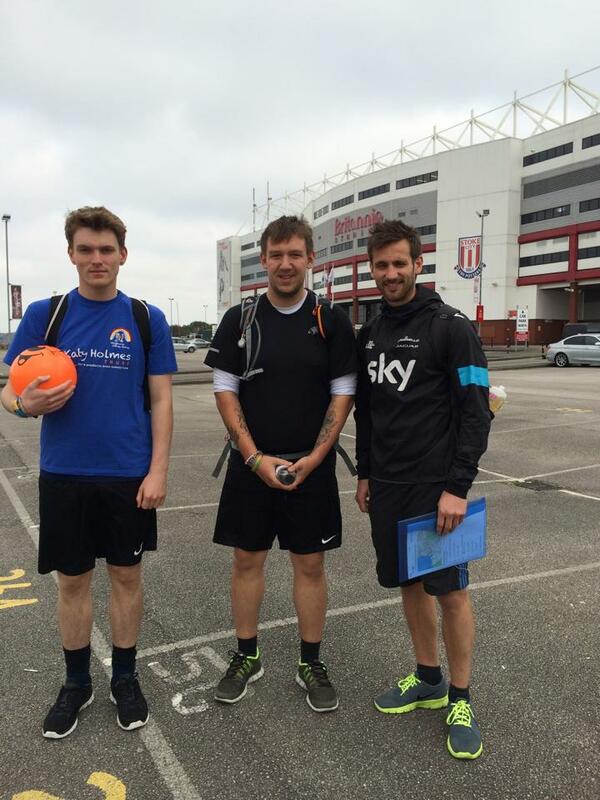 So, as many of you may be well aware, we’ve been following, supporting and also sponsored a trio of young lads from just outside of Preston who were walking a hell of a long way from Stoke City’s Britannia Stadium back to the home of Preston North End, Deepdale Stadium. Last Saturday morning, their epic, 67 mile journey began. At 10:30am they set off from the Britannia through the winding roads around the ground to start heading in to Stoke and on their journey. The plan was, the boys would be walking for however long it took them to complete the challenge, which ideally would be less than 24 hours. Well, thy started off well. The three of them were in good spirits and full of enthusiasm for the challenge that faced them. They were making good time coming out of Stoke and into Newcastle-under-Lyme and heading toward the long road that would see them in Holmes Chapel. 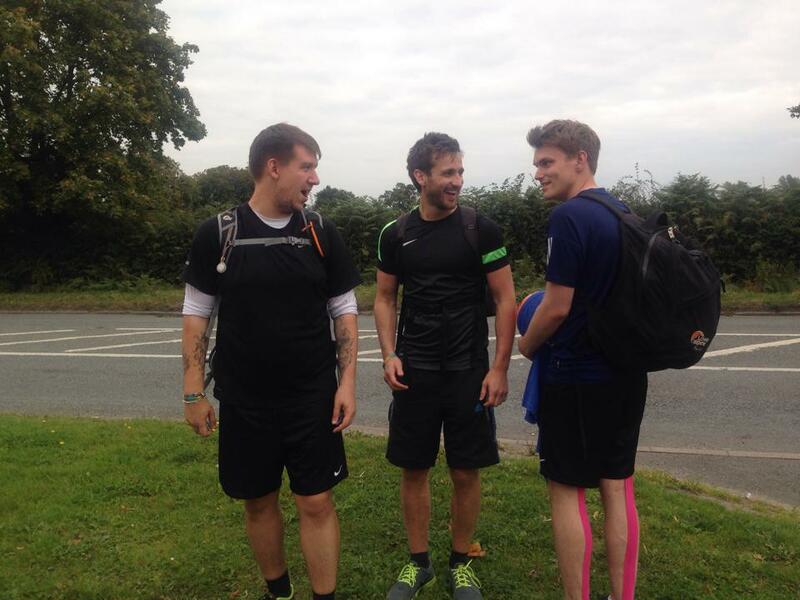 They reached Holmes Chapel with some support from Tom’s parents, Paul and Gail and his Nan. On their way out of Holmes Chapel and headed to Northwich, they were joined by Jake’s parents, Pita and Ray. The support that they received from the two sets of parents undoubtedly helped them to pick up the pace somewhat and after leaving Jake’s parents just outside of Northwich, it was time for them to make their way past the outskirts of Northwich town and then on to Warrington. After leaving Ray and Pita, the light started to fade very quickly but the lads found themselves walking down a long, straight road that didn’t seem to have much to offer them. However, pretty much every single house that they passed on their way to the end of this particular stretch looked like it belonged to an overly paid, theatrical footballer from the Premier League. They may well have been footballer’s houses but it seemed to perk the boys up. As they exited this stretch, they soon started hat would be the majority of the next few hours; country roads with no pavements. Not something that was overly appealing when the light was waning but they had time to meet Jake and Tom’s other halves, Naomi and Keeley who had brought with them plenty of things to re-energise; bottles of Lucozade and mars bars, stuff that would keep the boys going through the night. After a little pit-stop, they left the ladies and embarked on their night shift. They had country roads a plenty to tackle as there were cars speeding around but the head torch that Jake had on and the flashy red arm bands that they all had on probably did enough to alert the speeding vehicles to their presence. They soon arrived in Warrington at around 11:30pm, 13 hours or so after setting off and were making good time as they pushed on to Wigan. En-route to Wigan and the boys had all perked up a fair bit after their longest and possibly hardest part of the walk so far. They stopped off at a 24 hour McDonalds for water and carried on their merry way, avoiding any questioning from the boy racers that had gathered in the car park with their brightly coloured cars, loud music and neon lights. They headed off for Wigan and there were a few things that started to creep in to their walking, like the odd limp or grumble from one of the trio. They soldiered on and with the help of an energy gel here and a strawberry bon bon there, their spirits had all lifted again and they stumbled on in to the night. On their approach to Wigan was when things started to get a bit heated and the fatigue, aches and pains properly started to set in; more so with Tom than the other two. He valiantly soldiered on though. 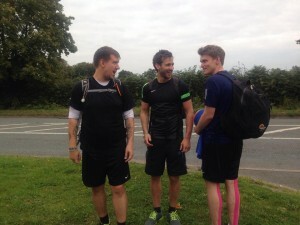 Jake and Jamie got through another few miles with Tom limping quite badly but the pace had slowed quite significantly around Newton-le-Willows. They met Jamie’s parents at another 24 hour McDonalds (they didn’t actually have a McDonalds) with the promise of a nice warm pizza but instead they were met with coffee, cakes and sandwiches. Not too bad a replacement to be honest. Upon arrival, Tom was still limping badly and Jake was starting to join him in the apparent ‘limp off’. When they left Jamie’s parents at around the 3am mark, some 16 and a half hours after they set off from Stoke, it was plain for all to see that they were struggling. Tiredness had started to set in and they were faced with a few big hills. They successfully tackled these and finally made it into Wigan. 18 or so miles to go until the end and at this point, Tom had hit around 10 miles of straight limping and to be perfectly honest, it was a question of when, not if his foot or body was going to have had enough. That point came just after they passed the DW stadium and crossed the river Douglas. Tom found himself a little wall to sit down on and sadly declared that he would not be able to finish the walk. 17 miles left of the 67, the ‘tres amigos’ very quickly became the ‘dos amigos’. After a short discussion, Jamie and Jake decided that, although they were struggling, they would soldier on and attempt to complete the walk. They headed out of Wigan together through a place that didn’t feel like it would have been particularly safe in the middle of the day, never mind at 4am. They quickly reached the next part of their trip, leaving the estate that didn’t feel particularly nice but they were then greeted with a 2 mile, gradually up-hill walk, on a dirt/gravel path, in pitch darkness thanks to the trees that covered them both. Walking up this track, with large rocks and potholes every other step, it quickly slowed the pace even more. They got to the top of the path and found themselves in Standish, three miles on from leaving Tom and Jake’s body just said ‘no’. Naomi was due on the ‘breakfast run’ at around 7/7:30am but that plan was quickly nipped in the bud as Jake phoned Naomi and requested a pick up from the Co-op Supermarket in Standish. Jamie, although struggling insisted that he would soldier on and get to the end. Very quickly after leaving Jake to wait for his lift home, he realised that he had actually reached his limit and couldn’t continue. He managed another couple of miles before being picked up by his mum and making his way home. A valiant effort from all of the lads and they have raised a staggering £799 so far with donations still coming in and cash to be counted from donation buckets. 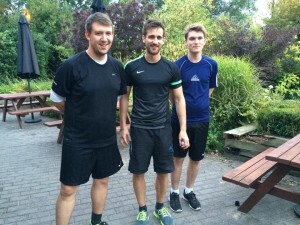 They’re expecting a final total of well over £800 which is an excellent amount to have raised and everyone here at Your Money Claim would just like to say well done to the three. If you want, you can still donate through their Just Giving page here – www.justgiving.com/24hourwalkathon.